The Indesit XWDE861480XS Washer Dryer comes in a modern silver colour. The XWDE861480XS has an efficient A energy rating. The XWDE861480XS has been rated with a A rating for wash performance and a B rating for its spin performance. This Washer Dryer has an enormous 8Kg wash load, which is ideal for the larger household. 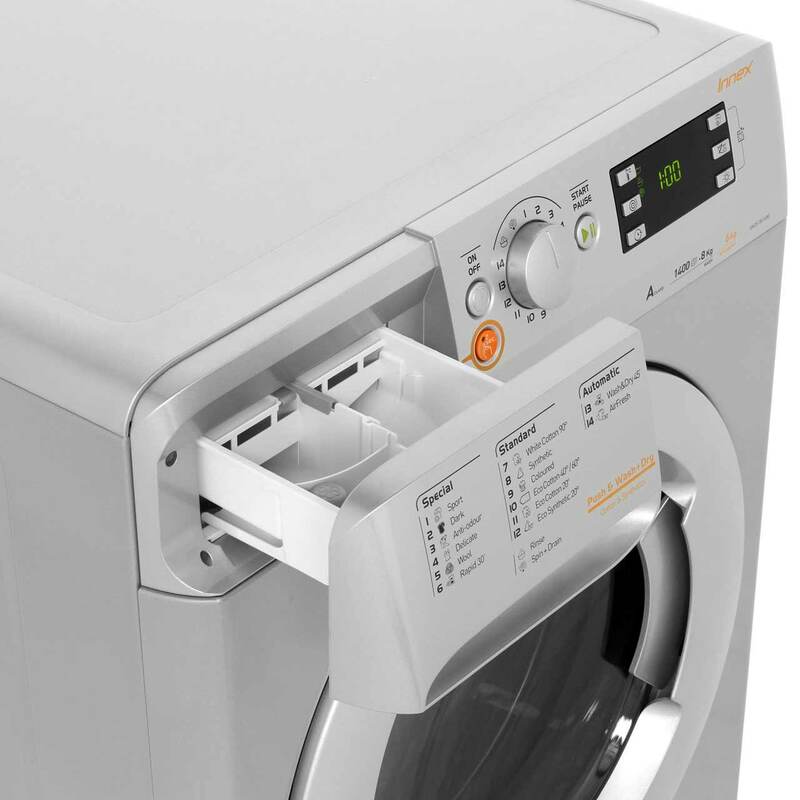 It also has a 1400rpm spin speed and a quick wash functionality, so your clothes can be washed in no time. To offer peace of mind the Indesit XWDE861480XS free standing Washer Dryer also comes with a 1 year warranty. 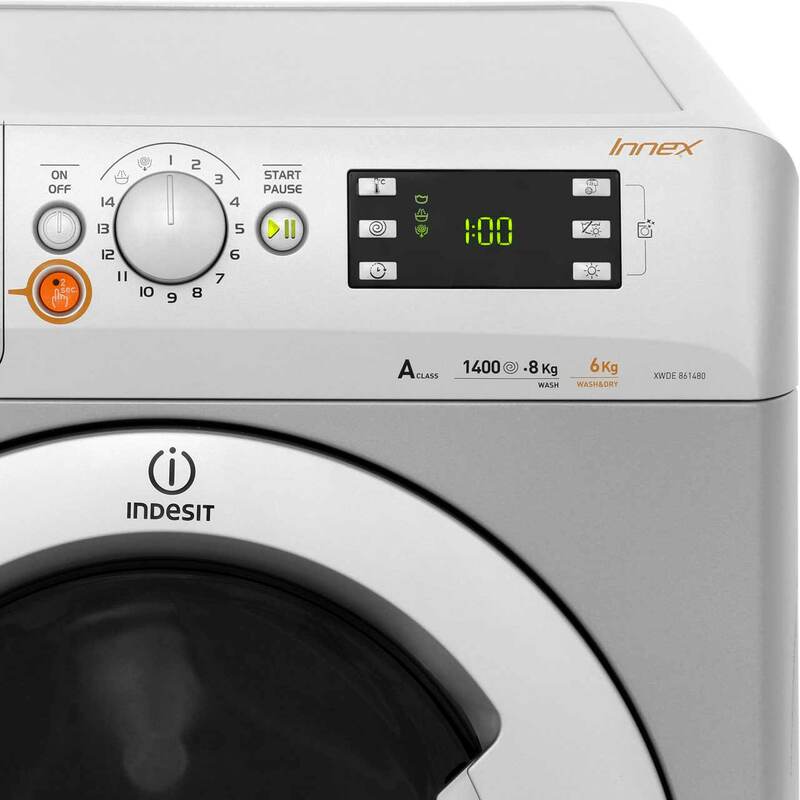 "The Indisit Innex is a quiet, efficient and intuitive washer dryer. It took 5 minutes to install and understand the controls. Then it just quietly does it's job. An appliance you don't notice is a good appliance. " "It is great when a machine proves simple to set up and use." "Haven't used all the functions yet but it is very quiet. The drying is longer the a stand alone but that fine for me. Ease of use overall very satisfied." 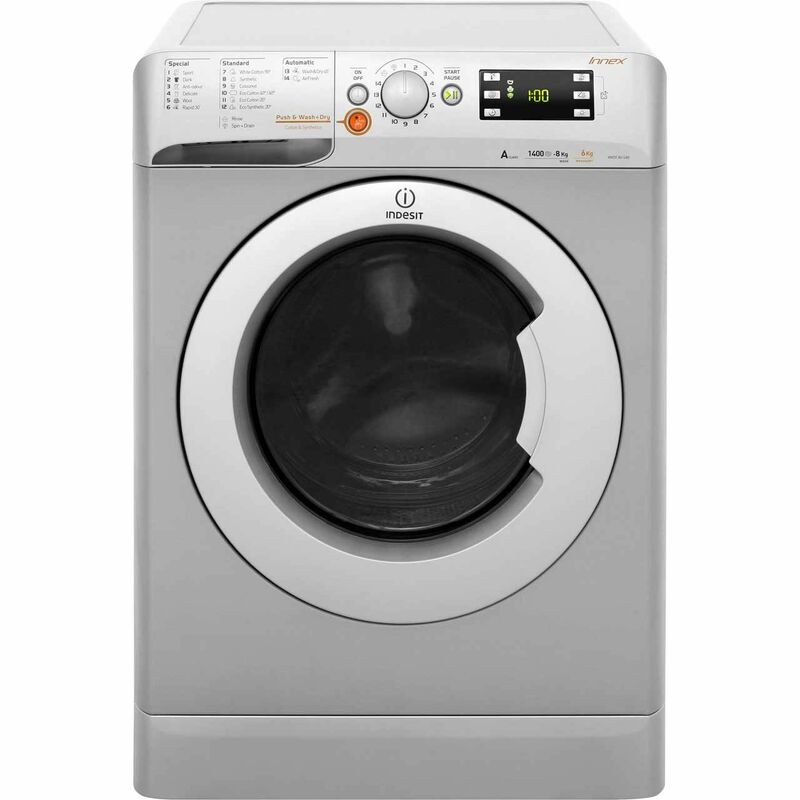 "Pleasantly surprised with this washer dryer, my old one worked very well for ten years until it died on me, hence buying the new equivalent. 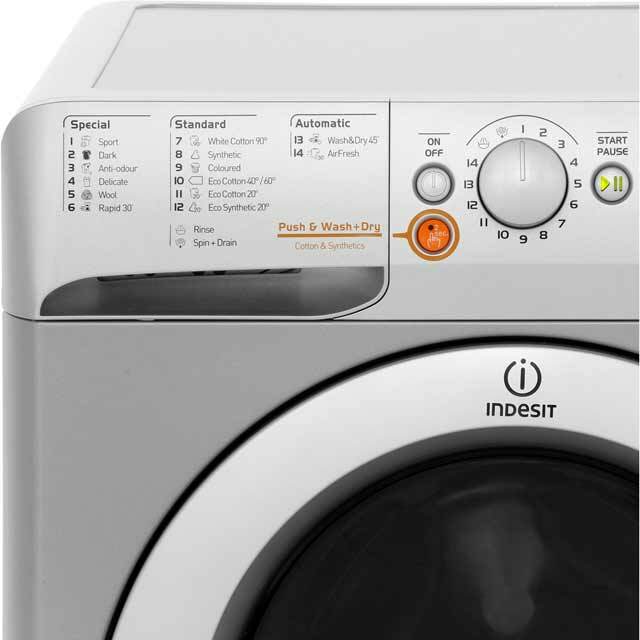 Some of my favourite washes have gone but there are new issues I like with this one, especially the drying times being adjusted automatically to stop the machine when the clothes are dry, not just keeping on going until the time is up, like the large door also"
"We bought this indesit washer dryer to replace separates and make space in our small kitchen. We aren't heavy dryer users so the fact that drying time being longer with a condenser over a traditional design isn't an issue. The washer side offers plenty of programs although there are some restrictions on top temperature which my wife isn't happy with. 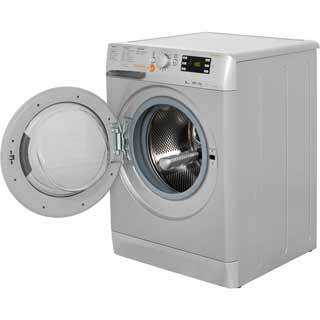 The main thing missing is an half load or wash shortening button for the times you need to wash one item but on a hot wash. 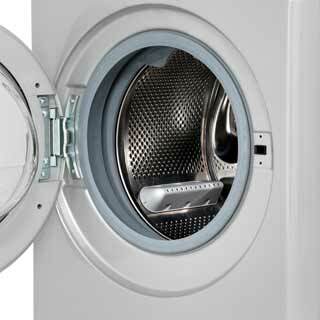 The boil wash takes forever and wastes a lot of energy and water when I want to wash a very small load. Apart from those 2 issues it's a great washer. 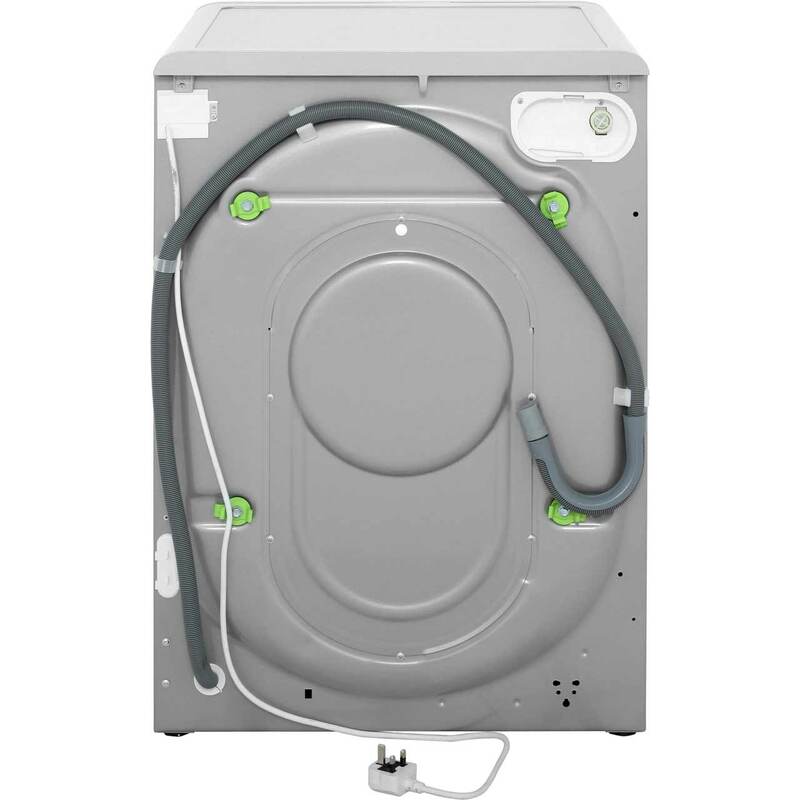 Very quiet, the dryer can be operated independently of a wash by pressing the wash omit button and the drying time can be adjusted by pressing another button so ignore the reviews that state differently. 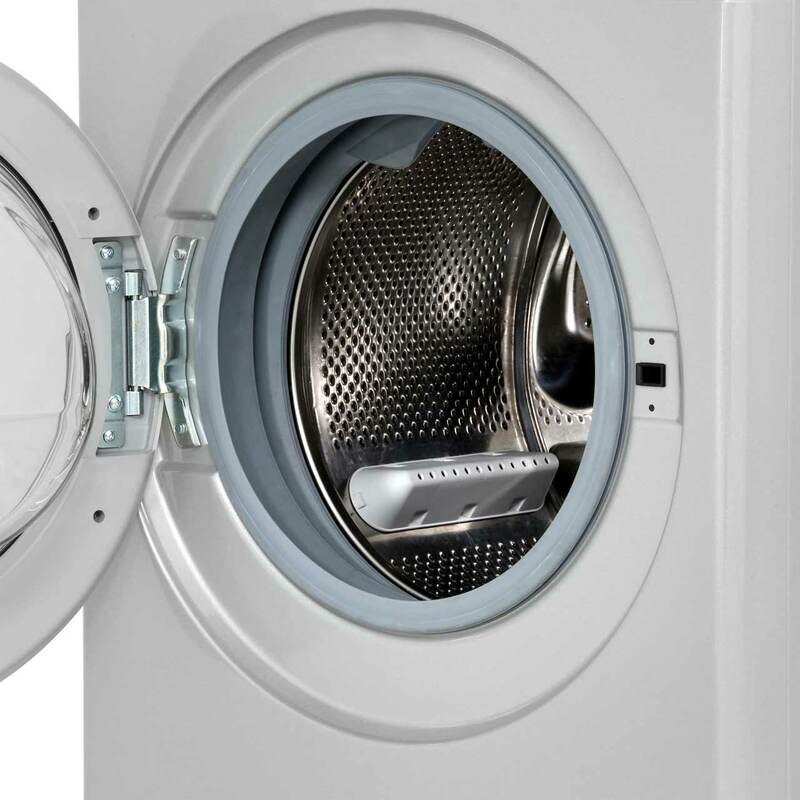 It doesn't dry quite as crispy dry as our old dryer but a little airing when items come out of the machine is all that's needed." "The washer/ drier fits in my new kitchen perfectly. It was good to have such a wide range of products to choose from on line. 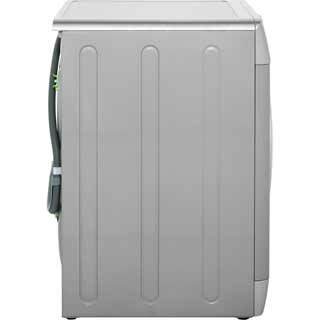 Good price for the capacity and range of functions that the product offers."